MotoGP no go! | Massive oil spill causes major delays at P.I. Massive delays frustrated everyone at Phillip Island this morning after the KTM of Stefano Nepa steadily dropped its guts in a slow stuttering fashion all the way around the 4.445 kilometre circuit. Red flags were eventually produced and the session stopped with 33-minutes still remaining. It seemed that some in the MotoGP paddock had instead pointed the finger for the oil down on the circuit at the Australian Superbike competitors that had been out for their practice session earlier. Either way, it caused massive delays and it was three hours later when pit lane opened again and Moto3 FP1 got underway for the final 30-minutes of their session. Luckily, the Australian Superbikes had actually got out on the circuit for FP1 at the ridiculously early time of 0755… An hour later they then got out for their single 20-minute qualifying session on a track temperature registering a cool 16.7-degrees celsius, and an ambient of 13-degrees. It was the NextGen BMW of Glenn Allerton that set the pace by lapping fractionally faster than the DesmoSport Ducati Panigale of Troy Bayliss. 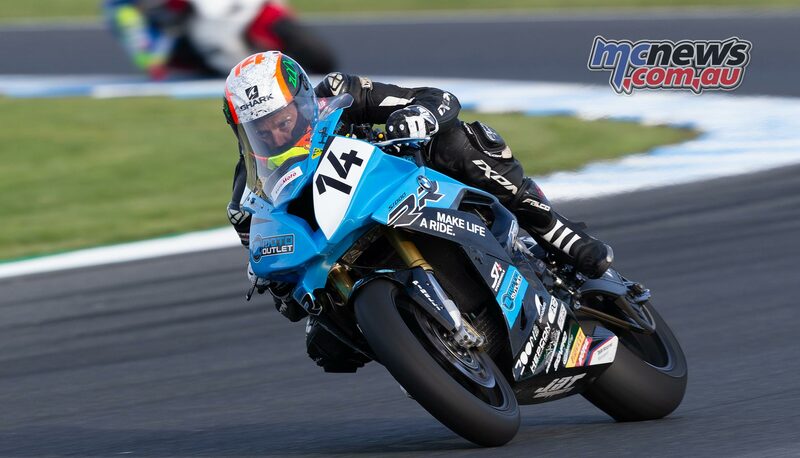 2018 Australian Superbike Champion Troy Herfoss was around half-a-second slower while young Mark Chiodo was the fastest Suzuki. The actual Suzuki team are not here this weekend and thus Chiodo is just riding his private machine. 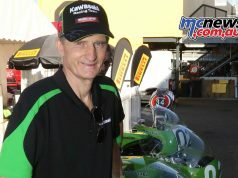 Likewise Yamaha Racing Team are not taking part this weekend, nor is the BCperformance Kawasaki squad. The aforementioned delays caused by the oil-down in the Moto3 session would suggest that we are quite unlikely to see the two Superbike races that were scheduled to take place today. The first 10-lap bout was slated to go down at 1330, and the second 8-lap contest at 1705. If we get one of those, and at what time, at this stage is anyone’s guess. This is why ASBK can not schedule championship races at the MotoGP event. We are nothing more than card fillers, and there are never any guarantees of our events going ahead. 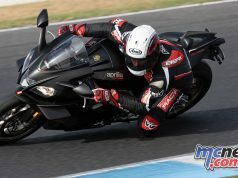 We can get away with it at WorldSBK events, as they are generally at the beginning of the season, thus the championship connotations can never be quite so important, but here it would be madness to have championship points on the line. Zac Levy topped the morning Supersport 300 sesssion which started at 0825 this morning under cool and cloudy skies. Oli Bayliss was second quickest ahead of fellow son of a legend, Seth Crump.